In an unprecidented wreckless campaign of ethnic cleansing, the Saudi “led” Coalition announced that the people of Sa’ada should lleave their homes or else be targeted by the Saudi Air Force and othet forces as Sa”ada is viwed by them as a military zone. This is a war crime, as humans even if living proximate to military zones may not be targeted, according to international law. With Sa’ada Governorate having many.historical heritage sites, the Saudis would be depriving humanity of significant cultural treasures, some of which have yet to be explored. Although the Saudis claim to have proposed a five day truce to allow humanitarian assistance. and important basics for life, to be flown in or shipped to Yemen. So far there is no let up in the bombing and missile attscks, which have led to over 300 fatalities in one week alone, some of which were whole families, with their homes collapsing on them. The Daudis have intensified their bombardment, missile attacks and shelling of Sa’ada Governorates near the border with Saudi Arabia. 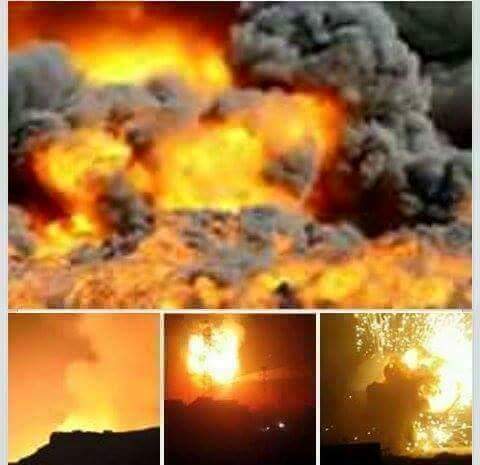 Yemeni tribesmen have recently launched raids inside Saudi Arabia, including artillery and rocket attacks on the cities of Najran and other nearby towns, which the tribesmen claimvyo be in retaliation for Saudis killing tribal members by their indiscriminaye bombings of villages or roads passing through the yribal tetritory. The tribes carrying out such attacks claim to have yaken over Saudi outposts, killed, injured and even captured scores of Saudi troops as prisoners, while also claiming to have taken substantial amounts of light and medium weapons and ammunition. The warnings were made in Al-Arabiya Satellite Station.